Milk thistle tea offers a safe, organic way to detox your body and improve your health. It is superior for re-establishing a healthy liver, treats hepatitis and may help reduce the effects of diabetes. You can purchase milk thistle in pre-made tea bags, or crush the seeds and make your own delicious beverage. In addition, most people tolerate milk thistle well without any side effects. Milk thistle, also known as Silybum marianum, is a wonderful herb that has many benefits and is beautiful to look at. It grows and is native in the Mediterranean region but currently grows throughout the world. Milk thistle can stand 5 to 10 feet tall with red and purple flowers. A member of the asteraceae family, milk thistle’s siblings are the sunflower and daisy. Its leaves are wide and contain white veins. When the leaves are crushed, they release a white, sticky, milky substance, which is what gives milk thistle its name. Milk thistle is considered a weed in some regions since it spread quickly and matures in less than a year. It is fruit-bearing and the fruit has a hard skin, is small, brown and shiny. All parts of this plant can be used for medicinal purposes. What is Milk Thistle Tea Good For? This simple milk thistle tea works like magic and targets diseases that many herbal remedies are unable to touch. When you consider the way nature contains all the elements to keep a body healthy, it truly is an incredible journey. Milk thistle is just one of the natural ways you can boost your health and recover from debilitating conditions without the side effects from prescribed medications. 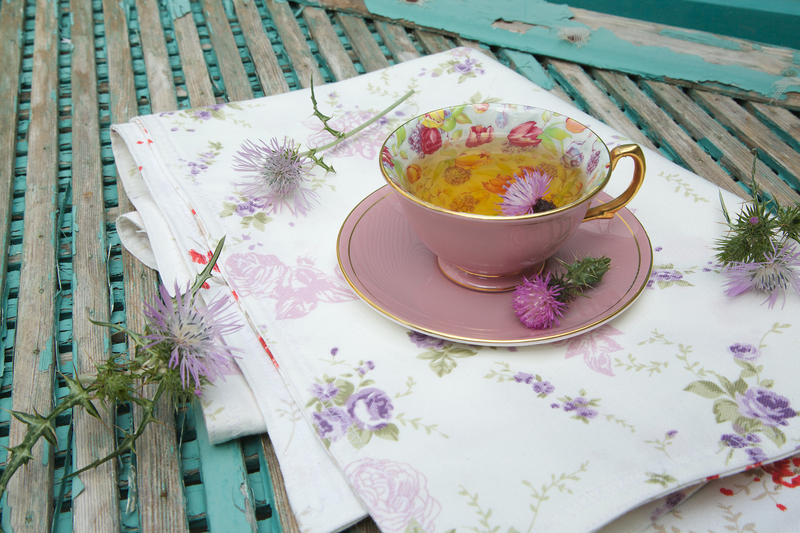 What Does Milk Thistle Tea Taste Like? Milk thistle tea is milky and it has a smooth texture. Although the taste may be a little bitter, you can add sugar or sugar substitutes or honey to your beverage to sweeten the taste. Others determine the taste of milk thistle is sweet enough on its own. Plus, you can use the leaves in salads to add a flavor other than spinach. 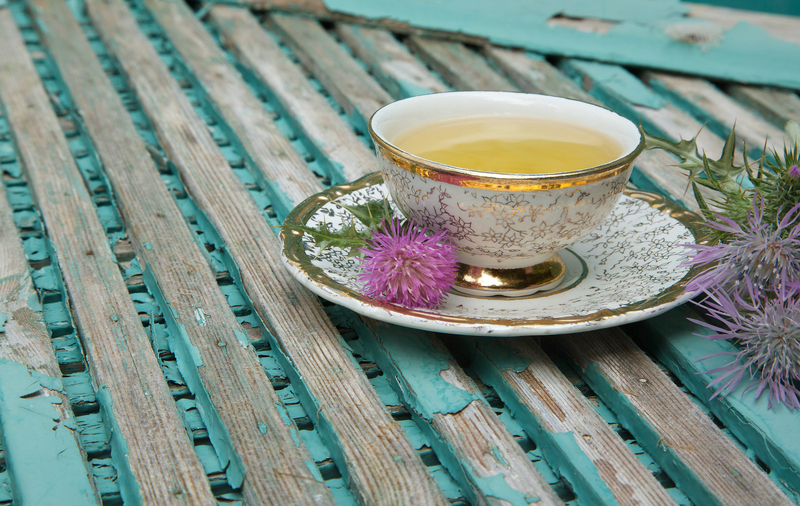 Pair milk thistle tea with peppermint tea to change the taste and to promote a healthy liver. Plus, peppermint tea is energizing which can help you through a long afternoon at work. Combine milk thistle with dandelion tea to help recover from stomach distress such as an upset stomach, diarrhea or nausea. Milk thistle can also partner with calendula flower to help promote healthy veins and reduce the discomfort from varicose veins. The main component in milk thistle tea is silymarin. Silymarin is a flavonoid best known for its strong anti-oxidant and anti-inflammatory properties. Silymarin is actually three components that work together: silibinin, silidianin, and silicristin. Silymarin is the component that best repairs the liver and can help those recover from cirrhosis and hepatitis. The flavonoids are also shown to help repair and improve cancer. Are There Any Side Effects from Milk Thistle Tea? Milk thistle tea is typically safe for most people. Always check with your doctor first regarding the safety of its use for your body. Some people experience an allergic reaction which may include stomach irritation, nausea or diarrhea. Other people may experience a rash, especially if you receive one from touching the milk thistle plant, you will probably get a rash from drinking the tea, and should avoid the beverage. Use caution if you are allergic to milk thistle and other plants in the same family such as ragweed, chrysanthemums, marigolds, chamomile, yarrow, or daisies. Herbal remedies should always be taken under the advice of your physician. If you are pregnant or nursing, you should not consume milk thistle. Those with hormone-related cancers such as breast or prostate should not use milk thistle since it mimics estrogen. Place 1 Tablespoon of crushed milk thistle into a tea bag or tea ball. Steep in 3 cups of boiling water for approximately 20 minutes. Drain the tea and let it cool to your desired temperature. Consume one cup of milk thistle tea before each meal. Check with your physician regarding the best usage for your health. Sources such as WebMD say that milk thistle is safe when used for just over three years at a time. Who Can Benefit From Milk Thistle? Milk thistle is beneficial in boosting overall physical health. Those suffering from liver disorders may benefit the most from milk thistle. Others with pre-existing conditions such as cancers, diabetes and high cholesterol will also gain health from milk thistle tea. Heavy drinkers can also benefit from the liver-restoring properties of milk thistle. It helps to improve the function of liver cells and can also repair damage from alcohol-induced cirrhosis. The taste is well tolerated by most and easily blends with other favorite herbal teas such as peppermint. The flowers are widely grown so the cost is inexpensive compared to other herbal teas. It also has few side effects, unless you have an allergy to ragweed or other flowers, so it is enjoyed by many. Legends say that when Mary was nursing the baby Jesus, drops of milk fell onto the thistle flower- giving it the name. Milk thistle can be used as an emergency antidote when you have eaten and been poisoned by the death cap mushroom. Tea can also be made from milk thistle leaves which improves digestion.